This new topic was inspired by a conversation on the introduction page. Yellowfingers wrote to say that she has an acre of grass and would love to start designing and transforming the garden. Sugar ape recommended the title 'Steps to start a new garden' and I think this is fitting. There are as many designs for gardens as there are gardeners and some people wouldn't dream of doing anything in the garden unless a professional landscaper was present. The instant garden is very popular at the moment. This can be disappointing for the customer when they realise that they might have to wait a few years for their escallonia hedge to reach six feet in height! I remember seeing a company that delivered your garden on pallets after you chose the style you wanted. The garden, containing grass herbaceous plants, shrubs and even ornaments were dropped off and pieced together like a jigsaw. The plants stayed on the pallets so they could be taken away again and changed to suit the season. I find it more satisfying to wait for plants to mature and fill the spaces where they were planted. It is also much cheaper too. A small hedging plant will cost a couple of euro where a five-year-old one could cost ten times that amount. The small shrubs soon catch up. I have been visiting some friends over the holidays that moved into a new estate ten years ago. When we first visited the gardens were plain lawns. Over the years I've seen small shrubs, trees and plants mature, beds and features added making gardens private and the estate attractive. Whilst we are on the subject of things growing larger, take this into consideration when you are buying any plant, but especially trees. You might decide to create a small, sunny garden with a cherry tree in the middle. This will be fine for the first few years, but the tree will keep on growing and put all the other plants in the shade. 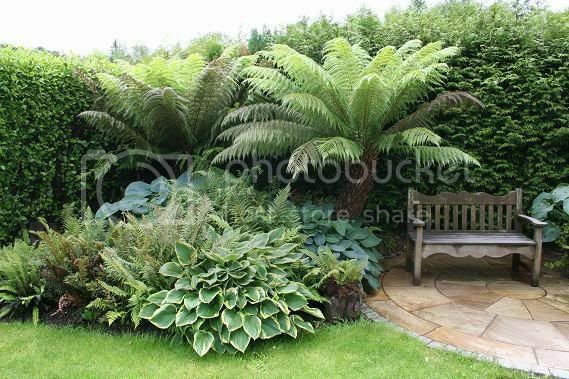 You will have to go out and buy shade loving plants such as hostas and ferns to grow in the dimly lit garden instead, which would be totally the opposite to the original design (personally I like hostas and ferns which is just as well as our garden is north-facing)! A good garden designer will listen to your ideas and then put them into a workable plan. There could be ideas that you have that will not work and a designer could advise you otherwise, saving you time and money. On the other hand if you are brave you can create your own ideas yourself, If they don't work you can try something different. The only disadvantage in this is that you only have yourself to blame if something looks a bit daft! But whose judging anyway -it's fun and a great way to learn! You can start on a small area of the garden first as implementing a total design can be costly. Having fun and playing with ideas is a great start. Let your imagination run wild. It doesn't cost anything to scribble ideas down on a peice of paper! I hope that this new topic will inspire more of us to be creative and produce original designs for our own little bits of paradise! Garden use is it another room? : Do you want a patio, water feature? Do you want parties or just a place to relax? Children's play area :will this include tough grass, swings, sandpit and non-spikey plants? Pets: do the pets need to be enclosed in the garden? Disabled or elderly: do you need to include ramps instead of steps if there will be people with mobility restrictions using the garden? Will you need sensory or aromatic plants and raised beds? Any difficult features to consider: such as slopes or rocks and will they need to be excavated? 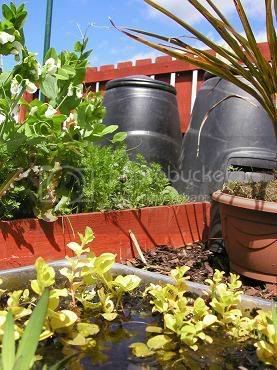 Low maintenance or labour intensive: gravel beds, polythene, container-grown plants or open soil. Views: Is there a view that needs to be screened such as an oil tank or even the neighbours house? Themes: if the garden is large you might want to section it off and have different styles. 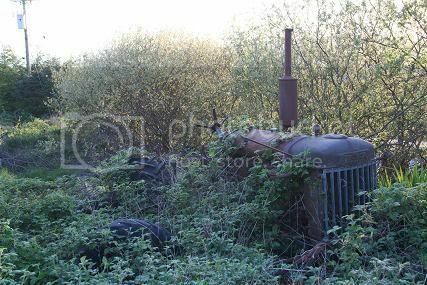 Are there any features that must stay such as telegraph poles, sheds or washing lines? Budget :work out a budget for the work and give yourself a time scale. Do you want to do the work yourself or get in a contractor? Planting to soften the hard landscaping: Do you want to attract wildlife into the garden? Do you want to include fruit and vegetables? Do you want year round interest or a burst of colour in summer? Jot down your findings as they will come in useful when it comes to the planning. Some things are more noticable than others in the garden. It doesn't matter if your garden only needs a bit of work or major surgery, the principles of the design will be similar. 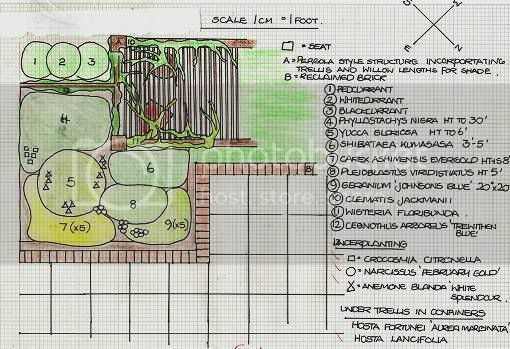 This section will cover the initial site plan, putting your ideas down on paper, coming up with a workable plan, including any hard landscaping such as patios and soft landscaping with ideas for beds and borders. I'm afraid the cost of anything you do is down to yourselves though, which is something to keep in mind when it comes to putting the plan into action! Here would be an excellent place to start. When the weather is fit, take a pencil and paper into the garden. Draw a plan of the garden; include buildings and features that are to remain in the garden, such as sheds and greenhouses. Include the house as well, as any structure can put your garden in shade Look at the neighbours house and trees to see if that puts you in the shade (In my garden the whole area is in total shade because of the house). Existing trees, paths and beds can be roughly drawn in too. You don't need to add features that you are sure will be removed. If you have a tree that is to go or an old shed that is firewood, leave it out of the plan it will only complicate things. The plan doesn't have to be exactly to scale at this point but we can get more accurate measurements if there are to be hard landscaping features such as walls or ponds. One thing I would recommend is to get a compass and find out which way the garden faces, this will be important when deciding on where to put the patio and plant selection. If you did your homework and came up with a list of wants for your new garden, you can start to draw in your ideas. (If not then go to the back of the class and come up with a list now!) Don't worry if there is too much in it at this stage, features can be taken out and changed around later. Here are some hard landscaping ideas to take into consideration when you are putting in the ideas. Â· If you are including paths, what will they be made out of and where will they start and finish? Sometimes it's a good idea to end them at a specific place such as a building or feature. They can look a bit odd if they just end in the middle of the lawn. 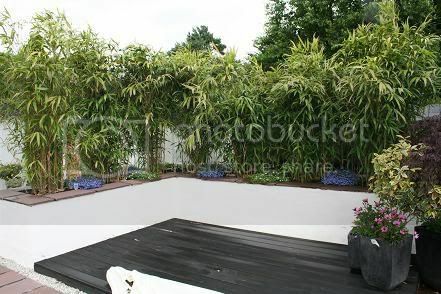 Would you like to include structural plants such as this bamboo? 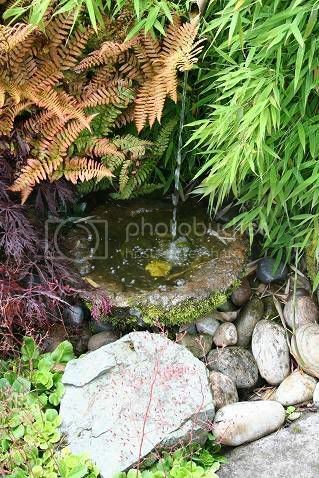 Â· If you are putting in a pond and rockery, place it in a sunny spot and not too near trees, these will mess the pond up in autumn. 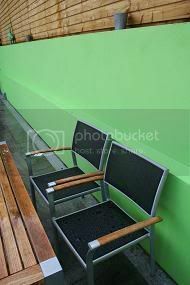 Â· Place the patio carefully to get the sun; you might like one at the house for morning sun at breakfast and a patio at the bottom of the garden to catch the evening rays. 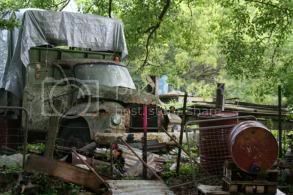 Â· Will you need a shed, where is the best place? 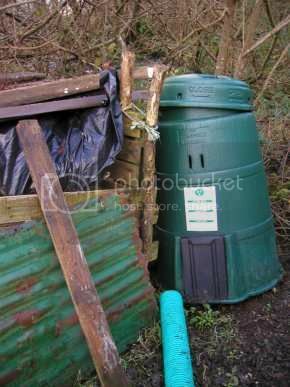 Â· Allow an area for compost. Â· If you have children, do you want an area set aside for them to play in? Sandpits, swings can be included. Look around at other people's gardens; they are a great source of inspiration. Glossy magazines and books are great for ideas as well. Think whether you would like your garden formal in design, which would include lots of straight lines and neatness. Or whether you would go for something informal with lots of sweeps and curves. Formal or informal, old or modern? Look at your house for inspiration. It is usually a good idea to try to stick to either formal or informal, as things get a bit messy if they are combined. Looking at the style of the house will give you a bit of direction. 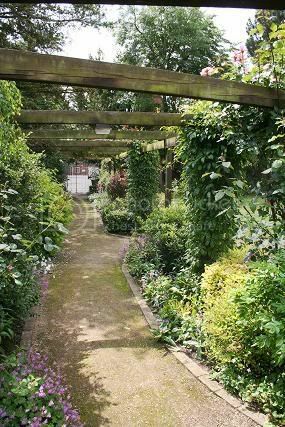 If you have the space though you could have one section of the garden one style and have the rest of the garden another, but separate them with a hedge or fence. That way you will have the best of both worlds! Keep playing around with your ideas and rub out anything that looks out of place and put it somewhere else. Play around with the paths and patios until the plan look balanced. Don't make path edges wiggle too much either as you will find it very difficult to mow in summer. Keep it in pencil for now, don't worry if it doesn't come together straight away as we will no doubt be changing things as we go along. Some features just have to go! 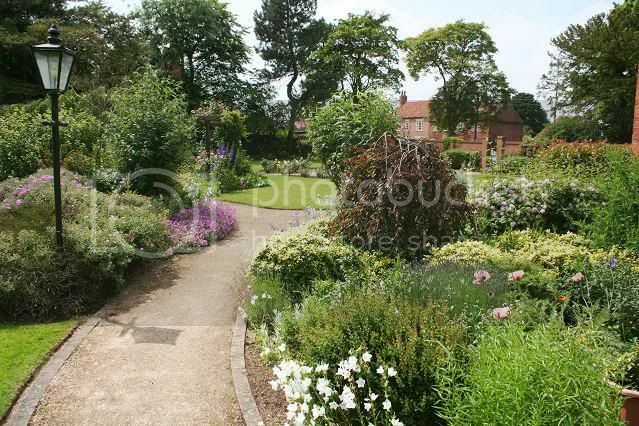 Later we will look at soft landscaping such as choosing plants and putting in the beds and borders. I will also explain the following important words in more detail. These are the key words for successful garden design and will help you come up with a winning plan over the next few weeks. STYLE, FLOW, SCALE, RHYTHM, SYMMETRY, TEXTURE, COLOUR. What direction does the garden face (aspect) e.g. south facing. Mark out the entrances and exits. Check the soil type (pH) and assess the type of soil to see what plants would do well. E.g. sandy or peaty. Does any rubbish need to be cleared and is the drainage good? TICK THE THINGS YOU WOULD LIKE OR DISLIKE IN YOUR GARDEN. Take a while to decide what you want featrure you want in the garden. Here is a list to start things off. Add on your own ideas. It doesn't matter at this stage if you think you need a full sized model of the Cutty Sark, ideas cost nothing!! Try to keep to one style, it is a good idea to look at the style of the house (e.g cottage or new) and it's surroundings to get some pointers. If you have a formal house with straight lines you might want to keep the idea running through the garden. A garden is more pleasing if there is a natural progression from one area to another. A path is a good way to join areas up. Think about how you would like someone to walk around your garden and view it. Focal points such as a sculpture, tree or captivating view will help to draw the eye and pull us into a new space. Here is an area that can go seriously wrong. Scale is about proportions-how the size and shapes of things relate to one another. A tiny shrub bed the size of your bathroom would look a bit out of place on a two-acre lawn for example. If in doubt when you are planning I find it is better to be bold and generous with the dimensions of the borders. The same goes for paths, they look a bit odd if they are too narrow. Symmetry and balance are important factors to take into consideration when planning your garden. Symmetry can be effective when you are thinking about including formal features in the design. Having a container either side of the door with a couple a choice shrubs can look very eye catching. If you have a formal garden, a line of lavender running either side of the path would be pleasing to the eye and smell lovely in summer. As in nature though we don't really see that much symmetry. It's more of a balance. Balance in nature is something to add to a design. Look at how plants and flowers grow in the wild and how they complement one another. The balance is all about a pleasing visual diversity of plants and hard landscape features. 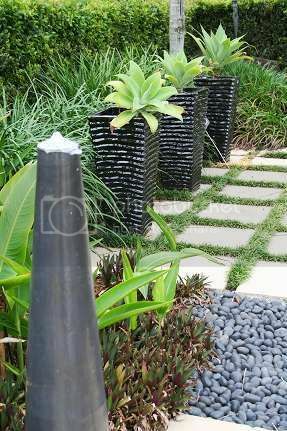 Imagine a brick pathway winding through a large, lush green lawn or a clump of trees being balanced by a bed of hostas underneath and you are getting the idea. Plants have a tactile quality that can be used as a valuable design tool. Think about how the glossy leaves of holly, magnolia, and roses contrast with the suede-like foliage of lamb's ears, heliotrope, and coleus. Or how the fat and fleshy leaves of a sedum differ from the needle-like foliage of rosemary or the quilted leaves of a blue-green hosta. Flowers also provide textural interest. They can be rich and velvety like a rose, or as thin and translucent as a poppy. Even tree bark contributes textural interest - especially during the winter months. Entire books have been written about using colour as a design tool. You can approach colour as a technician, using the colour wheel to create harmonious combinations, or you can use your own eyes and emotions to guide you in creating the look and feel you want. Combining colours in new and interesting ways offers a lifetime of exciting possibilities.As a general rule, red, orange and yellow are colours that jump out at you. They are lively and stimulating, and give the impression that they are closer to the eye than they actually are. 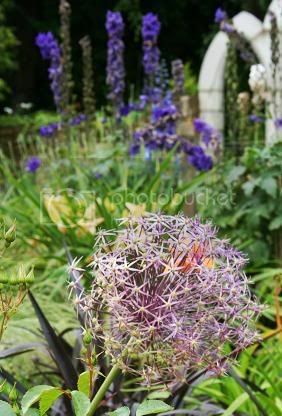 If you plant too many hot-coloured flowers, and don't balance them with cool-coloured, less assertive plants, your garden will be a jumble of blaring trumpets. Green, blue, and violet are cool colours. In the garden these flowers create a more soothing, restful feeling, and tend to recede into the distance. Inspiration can come from anywhere. 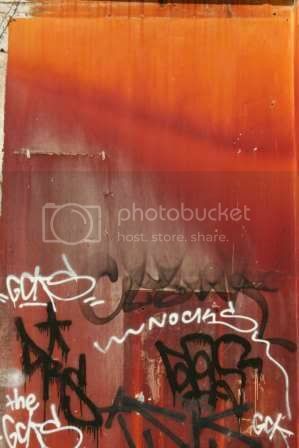 The colours of this graffiti could inspire a border! 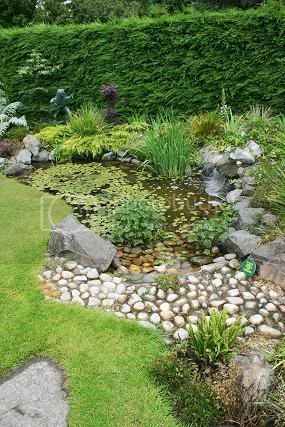 Use plants to soften pond edges. Plants themselves can be important design elements, though few gardeners actually use them this way. 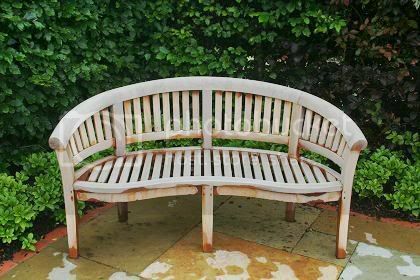 If you have an artistic nature you can have great fun playing with where you put plants or how you prune them to bring out a certain look in your garden. The arching branches of a well-pruned cherry tree can frame an entire garden. 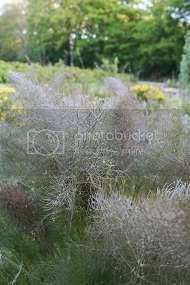 The repetition of soft, grey-leaved plants or spiky foliage can be used as a theme in a long border. If you take the time to notice and experiment with the form, texture, and colour of plants, you will discover a whole new palette of design elements with which to work from. Form structures near seating area. 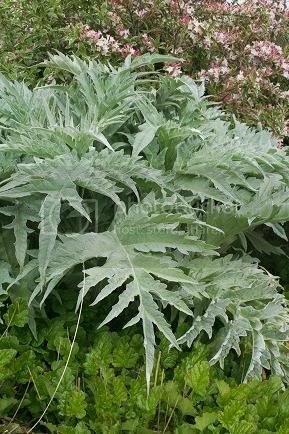 Artichoke and fennel make great strucutral plants. 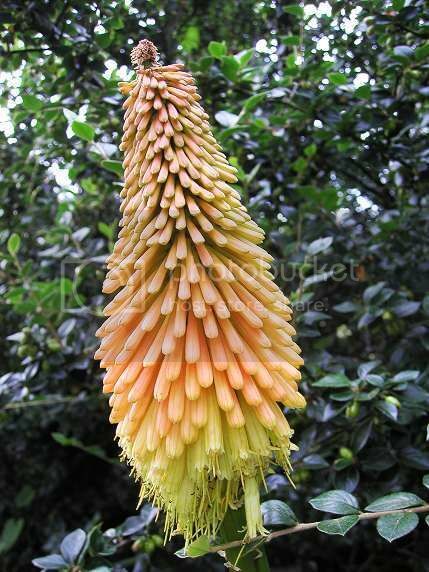 This is a three-dimensional consideration that takes into account the shapes and volumes of the plants in your garden. A variety of different forms make a garden interesting, but too much diversity creates visual confusion. Trees and shrubs have characteristic forms that should be carefully combined to avoid clashing. Contrasting colours for focal points. Flowers, too, have characteristic shapes: the rounded heads of alliums, verbena, and globe thistle; the vertical spikes of delphinium, snapdragons, and veronica; and the strong architectural lines of a large cordyline. Experiment by grouping plants with the same form into a drift, or by repeating a pleasing composition of different forms several times. A rock garden should be planted in the open where it will get a lot of sun, preferably sloping towards the direction that the sun shines at midday. 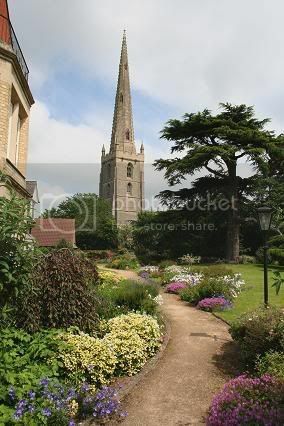 Build the rockery away from overshadowing buildings or trees that will rob the soil. The falling leaves and moisture dripping on the plants may damage or kill off the plants. 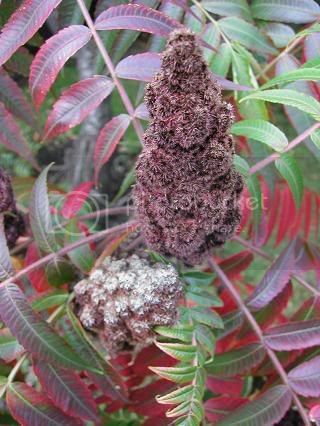 After saying that, shrubs and small trees can form a good backdrop for a rock garden. 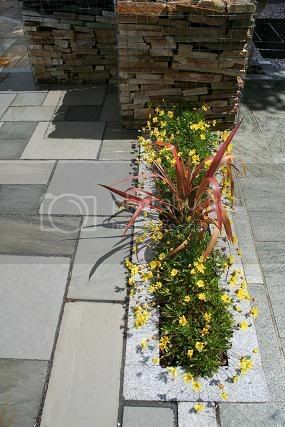 The rock to be used is as important as the plants, use one type of stone. Local stone will be more natural and will fit in well with the surroundings; it may be cheaper to deliver too. Try to plan the rockery to one side of your garden not in the middle, it will look better. 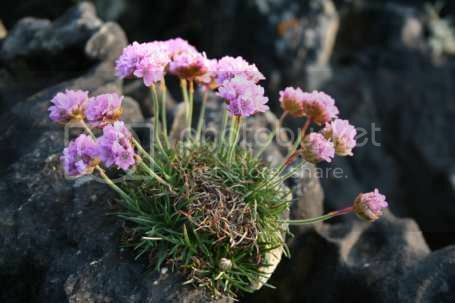 Rocks should retain soil and keep the plant roots cool, so bury them firmly, with at least one third of their bulk in the ground, and pack the soil tightly around them. Ensure the strata (lines) of each rock goes in the same direction and tilt the rocks backwards slightly to allow water to run back to the plants. Try to arrange the rocks in a natural looking way, I find a trip to the shoreline or the hills a great place for getting inspiration. Like most garden work there will be some trial and error until the finished masterpiece is achieved. 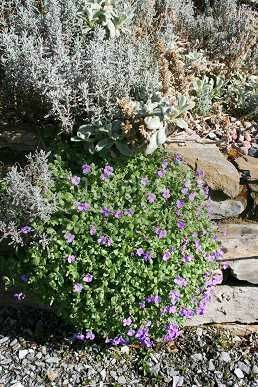 Aubretia will soften the edges of the stone. The doorway of the house is important, sometimes it is all that a house has where you can put any colour. Careful planting around the doorway sets the mood for any visitors and will always a welcome when you come back from the shops laden down with shopping bags. 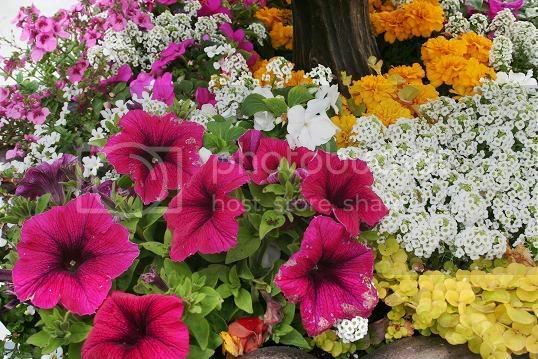 Hanging baskets will give you a great show in summer. They could still be used in winter for pansies but watch out for the winds! 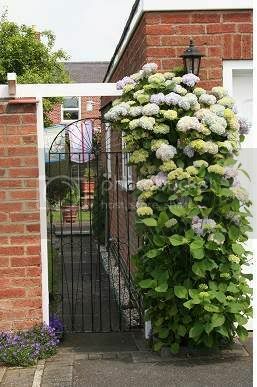 Permenent planting such as this hydrangea is pleasing but a bit sparse in winter. Maybe evergreens such as box or yew would do better. Here is an example of how you could plan an attractive hot colour scheme for the front doors. You could experiment with other colours to match the garden displays. Perfect for: a cool corner that needs brightening up. Choose bold Mediterranean blue pots. 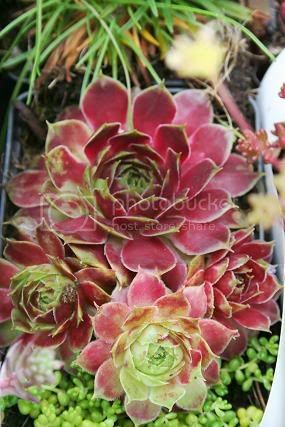 They are usually associated with summer sun, but they also look great planted up with warm winter plants. A single colour scheme always creates instant impact - in winter,try a combination of cyclamen and Gaultheria procumbens. Perfect for: an alternative look. Choose an olive tree! Although olive trees may be associated with sunnier climes, they are surprisingly hardy. Dress up your olive tree by placing it in a terracotta pot and under planting it with variegated ivy. It should be kept sheltered from cold winter winds, but makes a great alternative to the traditional Christmas tree. Perfect for: a warm welcome to a door or driveway. Choose large red planters and plant them up in rich tones of red, orange and chocolate brown. It's a warm and inviting look that's easy to replicate. 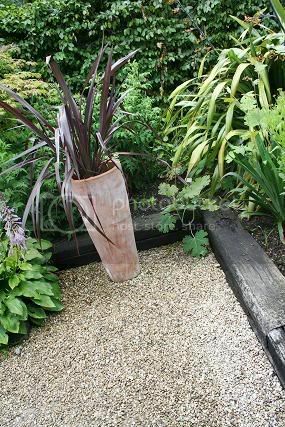 Plant a chocolate-brown cordyline in the centre of the pot and alternate orange flaming katy (KalanchoÃ« blossfeldiana) and red Gaultheria procumbens around the base of the cordyline. Place in a bright but sheltered spot and water sparingly. Red hot polkers look good in flower but would have to be moved afterwards as they are a bit messy. There has been a big revival in the cottage garden over the last few years. This is due to the increased interest in organic, self-sustainable gardens. The cottage garden is traditionally a small, densely planted plot where every inch of space is used. The original cottage gardens were mainly devoted to food production and flowers appeared randomly by self set seeds being brought into the garden on boots, by birds or on the wind. 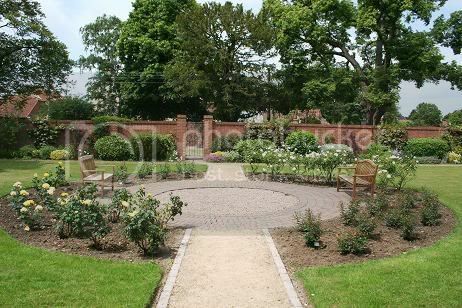 The original gardens mostly consisted of paths, borders and small patches of grass near the house or under small trees. In the days before landfill and septic tanks ALL of the household waste was put into the garden, this kept the fertility high. The gardens faded in popularity at the beginning of the century because of shorter tenancies of the cottages and the spread of the urban population. Now that a majority of houses being built in the towns only have small gardens, there is a perfect opportunity to have your own nature reserve on your doorstep. 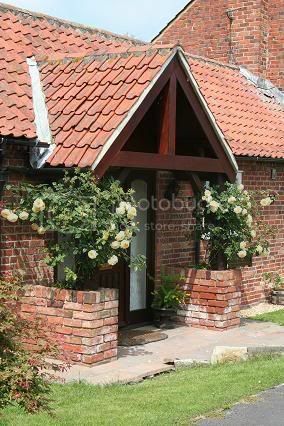 To create an effective cottage garden it is a good idea to keep things simple and very practical. Put in uncomplicated paths and don't bother with anything fiddly like rockeries. 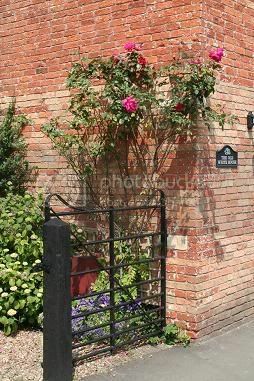 The garden can be divided into small rooms using trellis or wattle fencing to add to the interest if needs be. 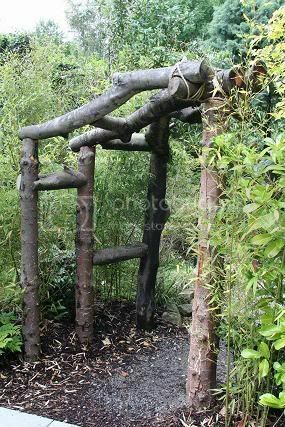 You might like to consider an arch or some other feature that a climber could make good use of. If you have any trees in the garden you can work around these unless of course they are putting the whole garden in shade. Keep the borders simple with common plants that will re-seed and choose attractive vegetables that can be planted in rows or interspersed with the perennial plants. Scatter annual flower seeds in between the plants to cover the ground; this will help keep away unwanted weeds. In winter a layer of mulch would also help to keep the weeds down. The great thing about a cottage garden is that you always expect something to be in the wrong place. These plants can be dug up and moved to a more suitable place. 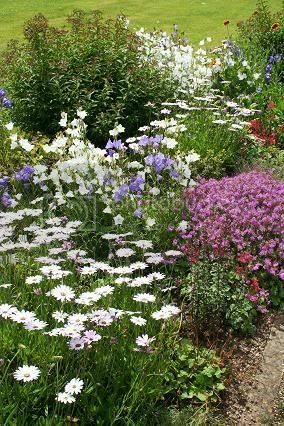 The benefit of cramming the plants into the beds and borders is that they will support themselves without the need for staking. The dead foliage will stand up to the seasonal weather as well and provide a stunning backdrop in winter and be a sheltered haven for hibernating wildlife. Cottage gardens are a haven for wildlife. Put up a couple of bird boxes on the trees and try to vary the plants to attract different types of insects. Many insect pests you see in the garden have natural insect predators and a wide range of plants, including wild flowers, will help provide nectar and pollen needed at various stages of the predatory insects life. A small pond, or even a water filled bucket dug into the ground like ours, will soon be buzzing with aquatic life. If there is an area that is in shade, then so much the better as the choice of plants to put into the garden will increase. Don't be too worried if you are one of those people that are obsessively tidy when it comes to the garden. With trial and error your cottage garden will embrace so much colour, scent, texture, serenity, birdsong and beauty that you won't even notice if it looks a mess! Nature is often beautiful but never tidy! 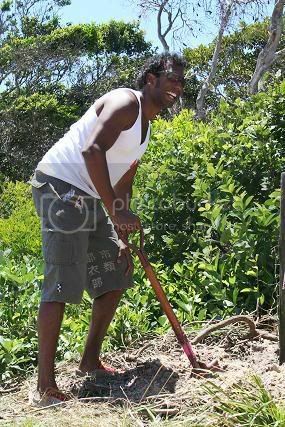 Out of all the questions that I'm asked about gardening problems, the most frequently asked one is how to plant up a steep slope. A lot of housing sites, are formed by excavating the side of a hillside and when the site has been levelled for the building, the owners are sometimes left with a large bank, usually to the rear of the property. In extreme circumstances, the bank is nearly all solid rock. Generally when the architects design the back of the site, they will recommend a retaining wall to keep the mud bank from sliding it's way into the back door. 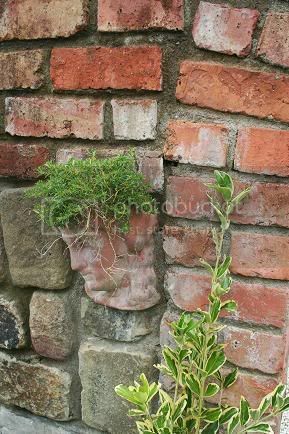 I have no doubt this is a very effective method, but the result is usually a bare expanse of very poor soil or rock sloping up from the top of the wall. I will make my apologies now by saying there are no easy answers to this problem, what can be done with this sort of area largely depends on some key points. How far is the bank from the house? If the steep bank is close to the house then large shrubs shouldn't be used as this will block off a lot of the light. Groundcover plants will be more suitable. Which way does the bank face? What is the soil and drainage like? If the soil is poor or the ground is very wet, this will limit the amount of plants you can choose for the site. The soil and drainage could be improved to enable a wider choice of plants to be used. Then a ground cover mesh could be used and this could be gravelled or wood bark used. 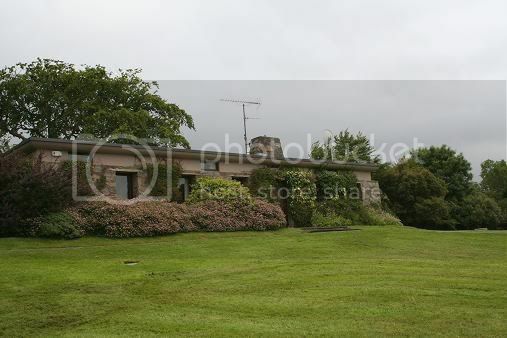 The area could even be grassed if you can get the mower on it. 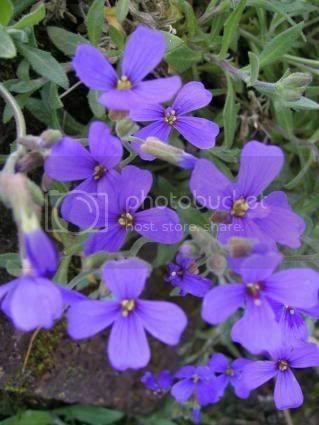 Then fast growing groundcover plants could be used to hold the soil in place. 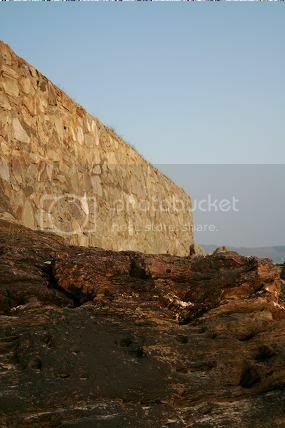 The slope could benefit by using rockery stones or even to tier the area into different levels using bricks or wood. This again will stop soil erosion. The biggest problem these banks pose, especially while they are establishing, is maintenance. Access is usually only achieved by fearless people with the use of a rope and tackle who have no fear of falling from high places! So this has to be taken into serious consideration before any work is carried out. inishindie thanks so so so much for posting these articles. I have been refering back them over and over as I was laying out a new patch in my garden. Lovely images, Thanks again. Thank you inishindie for taking the time to write this looong post. I have found it very helpful on more than one occasion. What exactly is a ground cover mesh? How does it look? Where can you get it?